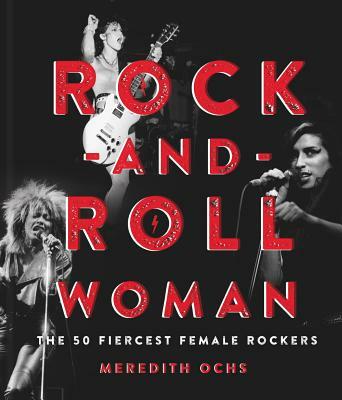 Award-winning radio personality Meredith Ochs takes an insightful look at 50 rock icons who indelibly shook up the music scene, whether solo or in a band. Profiling women from the 1950s to today, and from multiple genres, Ochs tells the dramatic stories behind their journeys to success, their music, and their enduring impact. More than 100 photographs make this a rich volume, and the idols include Aretha Franklin, Tina Turner, Grace Slick, Janis Joplin, Stevie Nicks, Heart, Chrissie Hynde, Patti Smith, Joan Jett and the Runaways, the Go-Go's, Karen O, Sleater-Kinney, Grace Potter, and more. Meredith Ochs is an award-winning radio personality, author, musician, photographer, and deejay. She is a host of the acclaimed Sirius XM talk show Freewheelin', now in its second decade, and is also a contributor to NPR's All Things Considered. She was the first female editor at Guitar World magazine. Ochs is the author of The Bruce Springsteen Vault and a contributor to the upcoming Woman Walk the Line, about female country stars. She lives in Hoboken, NJ.